In January and February 2016 the U.S. made a series of cash payments to Iran ultimately totalling $1.7 billion, while Iran released some American hostages. 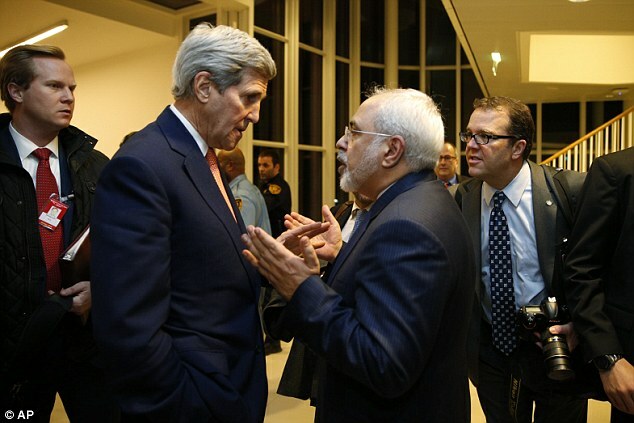 The timing and structure of the payment have both been criticized: 1st, the timing suggests it was a ransom, which would incentivize more hostage-taking, 2nd, the use of cash suggests the administration caved to an Iranian demand for cash, which would make it easier to divert the payment to terrorism. The President, White House spokesperson Earnest, and State Department spokesperson Toner initially defended the use of cash by saying it was impossible for the U.S. to wire money to Iran [a][b][c]. But this weekend the Treasury Department confirmed the U.S. has been wiring millions of dollars to Iran for over a year, specifically detailing two payments: one in July 2015 for $848,072 and one in April 2016 for $8.6 million – before and after the $1.7 billion cash transfer [d]. The admission came after think tankers and journalists publicly described the payments [e][f]. This morning the Weekly Standard revealed that top Republicans and Democrats on the Senate Committee on Foreign Relations had not been told the before-and-after payments were wired. Then the administration defended the $1.7 billion cash payment by saying it was impossible for the U.S. to wire money to Iran. — Sen. Cardin, SFRC ranking: “I knew the payments were being made, I didn’t know how they were going to make them,” he said. Top Foreign Relations senators say they were not told about the payments, which undermine the administration’s narrative. The Obama administration did not inform key lawmakers that it had wired millions of dollars to Iran through the formal financial system, even as President Obama and other administration officials publicly defended using cash for a controversial $1.7 billion payment to Iran by saying that wiring money to the Islamic Republic was impossible, according to senators and congressional sources who spoke to THE WEEKLY STANDARD. President Obama has said that the United States had to pay the $1.7 billion in cash since the United States and Iran “do not have a banking relationship” and “we could not wire the money,” while critics claim that the administration caved to Iranian demands for hard currency. The Treasury Department confirmed this weekend that the United States wired at least two payments to Iran, one in July 2015 for $848,000 for a settlement over antiquities and another in April for $8.6 million for 32 tons of heavy water, after TWS published details of the July payment late last week. Corker said that wire transfers lend “a lack of credibility” to administration statements about the $1.7 billion cash payment for a decades-old arms deal gone awry, the first $400 million of which was sent to Iran around the time that the country released American prisoners in January. Maryland senator Ben Cardin, a Democrat and ranking member of the committee, could not recall being told that the payments were wired, but he left open the possibility that his staffers had been briefed. “I knew the payments were being made, I didn’t know how they were going to make them,” he said. Senator James Lankford, who was briefed on the transfers last week in part by his request and in part by request of the State Department, did not appear satisfied with the meetings. “They just acknowledged that yes, [the wire transfer] had occurred,” he said. Republican congressman Mike Pompeo of Kansas, whose legislation to prohibit the future purchase of heavy water from Iran with federal funds passed the House this July, also inquired about the payment in April. The response he received in June did not disclose the method of purchase. Democratic senators told TWS in July that they had not been briefed on the heavy water payment since it was revealed in April, while Republicans said they had not been briefed at all, or had not been told how the administration would be paying for the material. Secretary of Energy Ernest Moniz said Monday that the administration had been “completely transparent” about the heavy water payment after it was revealed this weekend that the payment had been sent by wire.